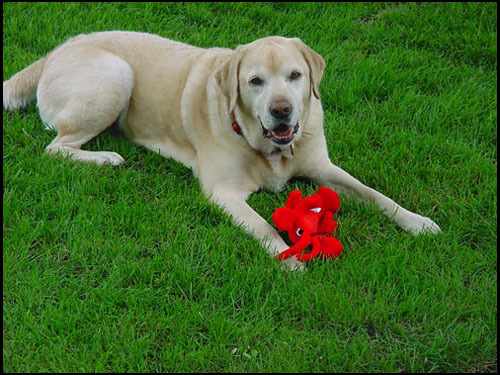 In the beginning, we had a physical location in Flemington, NJ in addition to our web presence, but after three years of long winters and lackluster sales and a very anti small business community environment, we moved our kite business to a 100% web presence. In 2001 we moved our warehouse facility closer to my residence in New Hope, PA. That address is 1482 River Road, New Hope, PA 18938. We have 1,300 sf of warehouse space and we use almost every square foot of it right up to the ceiling. I really can not remember….I suppose I could go back to my invoice file to check, but what is the point? Our advertising with Kitelife has always produced good results and we have every intention of continuing that relationship. My professional training is Restaurant/Hotel Management and I have owned and chefed three restaurants. My specialty is classic French cooking so I would have to say my favorite meal would include escargot and tournedos Rossini. 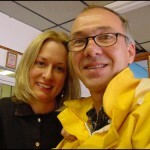 My favorite chef is my wife Shauna…her meals are wonderful. KitesRus.com comes to mind. 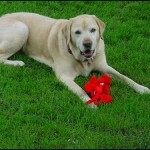 I spend many hours every day constantly tweaking and adding information to the KitesRus.com website. I’m proud of what we have been able to accomplish in a very competitive market. There are a number of good websites that sell kites and their competitive nature is what drives our ambition to do a better job every day. During the warm months, we are a one hour drive from the beaches of Belmar, NJ. The wind is almost always good and the beach management is kite flying friendly. Even on a hot day, the breeze is cooled by the colder Atlantic Ocean and I feel like I am flying in a huge air conditioned room. During the cooler months, I walk across the street to our local park which was built on 100 acres of farmland and open space. The prevailing winds force the pilot to look over a beautiful 18 hole golf course where dozens of people have plunked down a hundred bucks to drive a tiny ball into a tiny hole several hundred yards away. I am a frugal man and I enjoy the irony. Without question, our ability to convey the sheer fun of flying a kite to someone who has never flown a kite before. 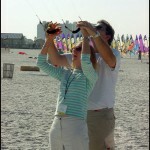 I love to talk to potential customers about my introduction to kiting and the passion that has never left me. We get calls every day asking about a particular kite, but the conversation will quite often revolve about the customers flying experiences. Building a good and trusting relationship with a prospective buyer is far more important than making a quick sale. One of my restaurants opened in the late ‘70’s was named “Park Place – an Indoor Picnic” and located in the financial district of Fort Lauderdale, FL. The interior of the restaurant had the green grass carpet that we carved winding sections out of and filled in with natural slate styled linoleum sidewalks. All of the walls were mirrored and the ceiling was painted blue with billowing clouds and dozens of kites provided by Go Fly a Kite hung from the ceiling. We got almost as many rave reviews for the décor as we did for the food. Twenty three years later, I opened a residential playground store in Flemington, NJ where most of the sets retailed for no less than $2,500 a piece. I needed to sell items that were “outdoors” related that would bring potential customers into the store without having to cross the $2,500 barrier. It seemed to me that kites would be the perfect item. 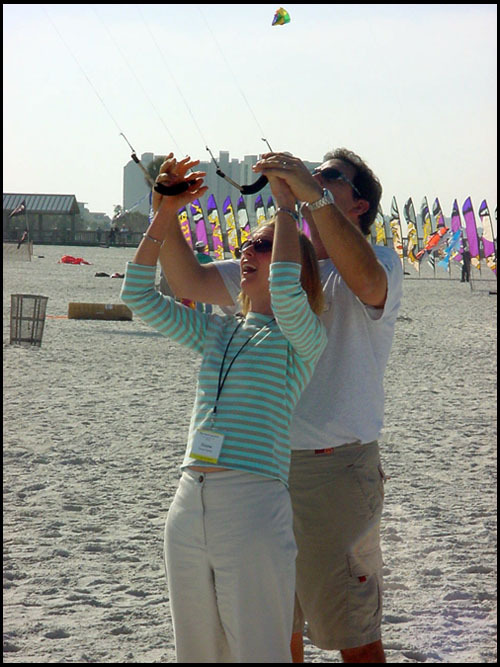 At that time, I knew nothing about sport kites, but through the knowledge of a great sales rep at Go Fly a Kite, Eric Frost, I learned quickly and he convinced me to attend my first KTAI convention in Clearwater, FL. (January in Pennsylvania is another good reason to visit Clearwater, FL and probably was the deciding factor.) That convention and the vendors that were there convinced me that there was an opportunity in this business that I did not want to miss out on. On a business level, my father told me that I should do what I enjoy doing and if at all possible, make it your own business. With the exception of some summer jobs as a teenager, I have always been self employed. Economically, looking back, I’m certain that my financial resources suffered because I decided not to pursue a corporate career. My desire to be self employed and doing what I want to do when I want to do it has always led me down a number of interesting paths that I will never regret. 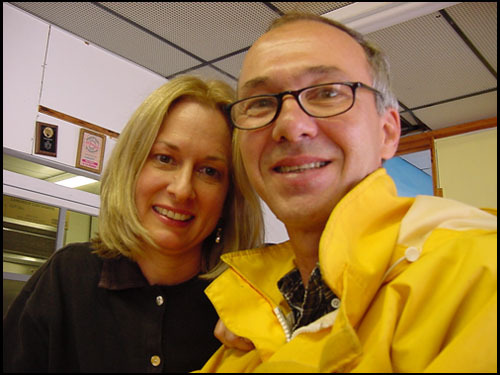 On a more personal level, Dad had another great piece of advice…”Marry that woman!”…I did and we will celebrate our 30th wedding anniversary in July, 2008. It would be very easy to go back through our records and find a large dollar volume that fits the bill, but that wouldn’t do it for me. Actually, the nicest sale ever made came recently when a woman called me for some advice. She wanted to buy an unusual wedding gift for a young couple. Her budget was under $150 dollars and she was looking for the best kite she could purchase for that amount. After congratulating her on her uncommon good sense in thinking of a kite as a wedding present, I had to stop and wonder…wouldn’t two kites be better than one? After all, two people were being married. Why not lower the individual cost to the $75.00 range and have them both flying rather than waiting until one tired. My customer was thrilled with the idea, but it was the bride’s thank you letter and guests comments that flowed in and were passed on to us that made this sale the nicest ever made. Hopefully (as is in our case) they will still be flying together thirty years from now. I do a fair number of local kite flying demonstrations where kite flying is not the main event. Anyone who does this on a hot summer day knows it isn’t easy. Unattended children tromp through and over your kite bags, the wind comes and goes, and the day is long. 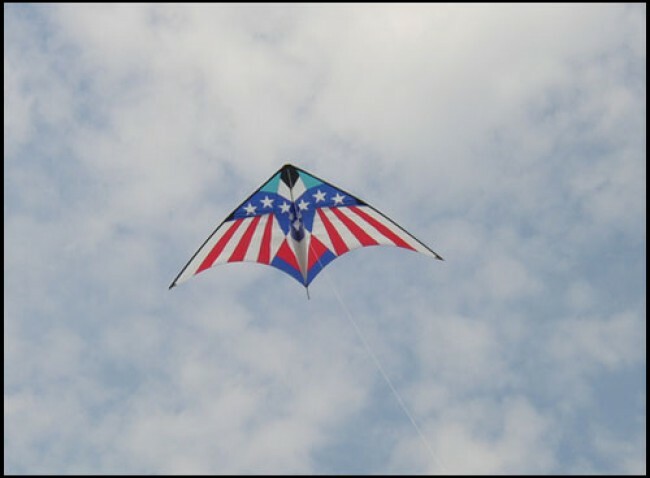 But usually, there are always one or two people who are amazed by what you can do with a kite. I’ll spend an extra hour with them at the end of the day teaching them how to fly (in most cases a stunt Kite.) There is a great sense of satisfaction in handing over the flying lines and watching the newest member of the kite flying community wide eyed and excited…a customer for life. My memory has shortened quite a bit in recent years, (why is that?) 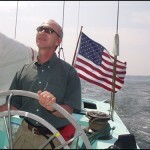 So, it would be appropriate to refer to an article published in September/October 2000 about powering ocean going ships with kites and a company called KiteShip.com. More recently there was another feature article about the same company but I can’t tell you which issue. 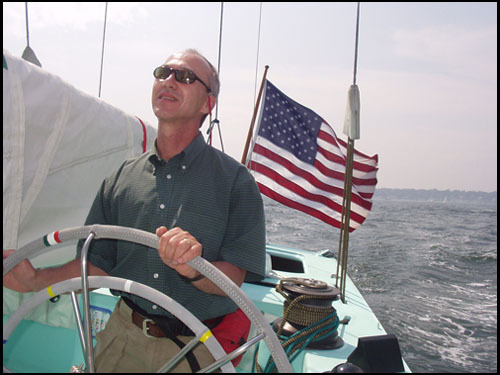 I am avid sailboat racer and I am fascinated by the emerging use and eventual replacement of the traditional spinnaker with a kite. The continual advancement of technology in the America’s Cup racing series and testing of new ideas has propelled kiting into sailing and shipping. Wouldn’t it be amazing to see the return of wind powered ships as a primary source of transportation of goods across the oceans? This entry was posted in 2007, Featured Store, Issue 57 (Nov/Dec), Kite Columns, KL Archive and tagged kitesrus, shop.